Deliciously fresh, pretty, classic, and romantic. Petales is a party at the Botanical Gardens on a warm summer's evening, it's an all-night dance on a Yacht off the Rivieraits essence is the white-flower elegance of a thousand gardenias, chic and couture at its heart. 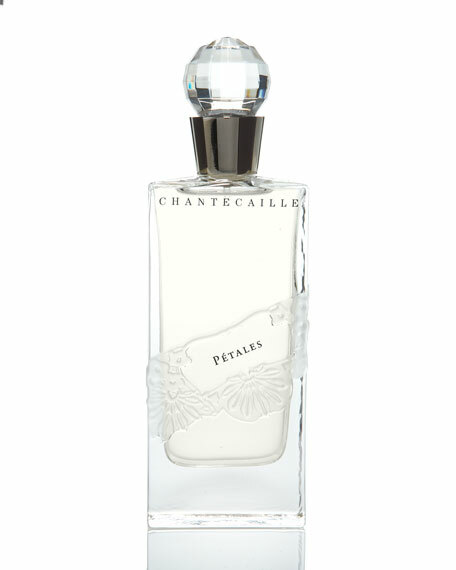 The inspiration: The story behind Petales cannot be told without touching on Sylvie Chantecaille's deep love of Gardenias. A central ingredient in this complex and ambient white-flower fragrance, the tropical classic has long been a favorite of Chantecaille's since she was a little girl. 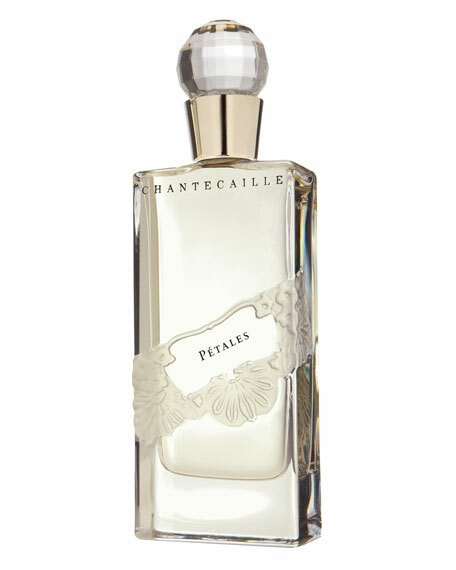 "Gardenias' unmistakable perfume always reminds me of growing up in France and long, relaxed summer evenings," Chantecaille says. In order to create a truly unique and modern interpretation of this timeless scent, Chantecaille blended Gardenia with a fragrant bouquet of other signature white flowers, including Jasmine and Tuberose, yielding a highly unusual, yet beautifully fresh and wearable scent that is the definition of pure glamour. The spirit of Petales calls to mind warm and breezy summer parties, enchanted gardens, and the pleasures of couture dressing. "It's both completely heady and yet deliciously fresh," Chantecaille says. The scent: Balsam, Jasmine, and Tuberose form the heart and character of Petales, which is then lifted by the lush, voluptuously feminine Gardenia flower. Beautifully warm, soft, and sensual Cedar, Sandalwood, and the whisper of Musk deepen this velvety, fresh fragrance, giving it a thoroughly sophisticated and refined essence that is ultimately classic and unforgettable. Key ingredients: Gardenia (velvety and dewy), Cedar and Sandalwood (soft, sensual, warmth), Tuberose (classic white floral, textural volume), Musk (tenacity, subtle, quiet sophistication, kind to animals and the environment). For in-store inquiries, use sku #289522.